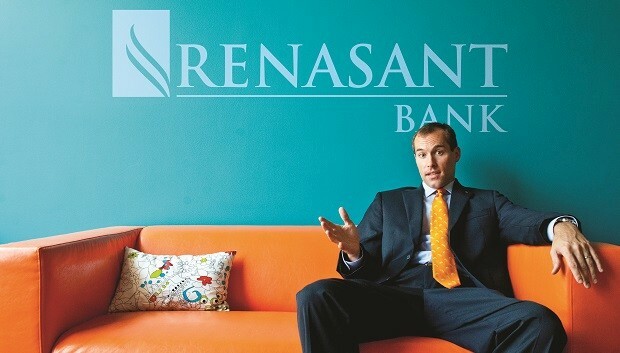 Q: Could you provide our readers with a brief introduction to Renasant Corporation? A: We’re a $12.7 billion company with community and digital banking at our core. Founded in 1904, we now boast 190 plus locations in five states which include Mississippi, Georgia, Tennessee, Alabama and Florida with approximately 2,500 associates. Although we are more than 114 years old, we are not your parents’ or grandparents’ bank, however we may bank them too. We strive to meld relationship banking with technology and digital banking to provide the best modern client experience. We are also aggressive in our approach to brand marketing when compared to most banks. From television-quality production web shows to award winning content, web, product and campaign recognition, we look to be the bank brand that understands its clientele and knows that interruptive marketing in an on-demand world no longer works. Q: I read something about your partnership with recording artist Vulfpeck. How did it go? A: Interesting story. Our advertising agency of record, Mabus Agency, had a song by them (Vulfpeck) playing called Back Pocket that was being used as an audio placeholder in a craft beer advertisement. In passing after a meeting, I heard the song playing and said, we’ve GOT to have it. After some calls and negotiations, we licensed the song and put it over motion graphics in a commercial about mobile banking and payments through our mobile app. We received a great reception for the spot, especially in the much sought after millennial market, and have had more than 130,000 downloads of the mobile banking app we promoted. We even had people contacting the bank asking where to purchase or download the song. But it gets even better. Two years later, Apple, yes that Apple, licensed the exact same song and placed it in a TV spot promoting the iPhone X and facial recognition for payments – a very similar narrative to our commercial just with a much larger production budget. Did I say a much larger production budget? Anyway, our marketing street cred went through the roof, and Apple unknowingly swagger jacking our idea made us look like marketing geniuses. We even put out a blog post about it where you can view both ads together here. Interestingly enough, we could have made an argument about the licensing permission of Back Pocket as it was still under license with Renasant, but instead of trying to fight Apple, we embraced the flattery, and even placed some of our ad buys next to theirs to double down on our cool tech and banking connection. It was an awesome, and lucky, win for our brand. Q: You create and/or license lots of social content and several web-based shows. How does this provide value for the Renasant brand? A: A lot of bank brands talk about being different from each other but for the most part, it’s just lip service in a commoditized business. For example, approximately 60% of all banks share a common word in their name besides the obvious word bank (think First, National, Federal, Savings, State, etc.). How can you be different if you don’t even have a different name from your competitors? Anyway, to your question, we decided that to set us apart, we would produce high-end production web shows that are informative, interesting and entertaining. Brands have to stop interrupting for attention and start providing value, even if it’s simply in some cases just entertainment. With social media, geo-fencing, the internet and websites, we saw an opportunity to own the delivery medium and create our own message at the same time. And although we still do traditional media, creating your own shows and owning the medium cuts out commercial buying and, as cord cutting and the decline in print is nothing new, it allows us to really focus on a target rich audience with much less expensive placement. In this, we could drive brand awareness, connect to our audiences as other banks were not and, through digital online banking applications, convert viewers or at least drive them into possible choice consideration when they entered into a decision process for their banking needs. 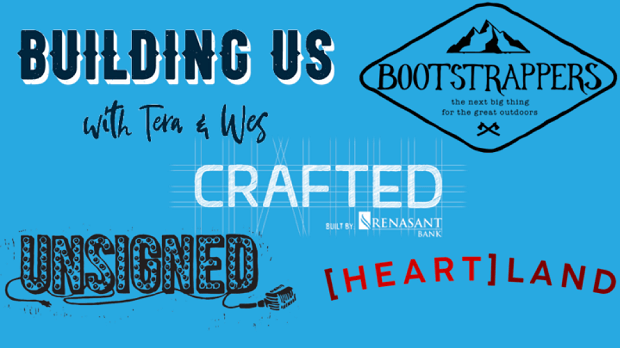 Our shows are: Crafted, a show about small businesses and how they create their product; Building Us with Tera and Wes, an HGTV-style show where a couple remodeled an old home all on camera for 12 episodes. They got so into it, they even announced their pregnancy on the final show to 500,000 combined online views. We also had Unsigned about music artists in the Nashville music scene; Bootstrappers featuring outdoor start-up lifestyle products; Heartland, a show about nonprofits and their services; and even a show about the art of college baseball announcing called 40 Years in Baseball. Over the past 16 months, our shows have pushed more than 10 million views, created many co-marketing opportunities with the influencers within the shows and have set us apart as a marketing content provider that gives value beyond just bank product interruptive marketing. To sum it up, the success in our shows created brand awareness, connective marketing, and message control so that we could connect to and, depending on timing and other variables, convert these viewers to clients. We keep our shows on a content site and they can be found at https://renasantnation.com/shows/. 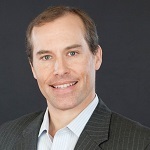 Q: How has this strategy transformed and helped your company? A: We began this journey about 10 years ago—this journey meaning a comprehensive focus on branding the bank. Our goal was to transition from same-as-every-other-bank ads and placement. And it has been a journey to move from banker-centric ads to true brand advertising. One of our first goals was to get away from these publications where the salesperson’s most compelling argument was “every other bank will be in there.” Nope. We don’t want to share space with every other bank. We want to stand out. And we did. All of the items I mention have separated us from our competitors. We captured market share from our strongest competitor in our home market. We increased name ID in new markets that we’d previously failed to penetrate, and we gave executive management a better brand to act as a foundation as we expanded into new markets through M&A. The biggest factor you can tell on the street in our markets is that people not only have heard of Renasant, but they have learned how to pronounce our name. A: We have a few new show and campaign ideas in the works, as well as some creative that, although I cannot share it now, will continue to evolve connective marketing into better brand awareness and viewer-to-client conversions. Even though it’s already happening, the next big thing is digital conversion and it being a seamless experience from brand awareness from viewing to then instantly becoming a client. The goal is always to have someone view one of our shows and say, “that’s a company I would like to do business with,” and at the end, all they have to do is click on an embedded link or give a look at their facial ID, and like magic, they become a client. Now it’s not that easy or smooth but, along with brand awareness, conversion is always the end goal. In marketing and in life, if you’re explaining, you’re losing. Marketing and conversion must be simple with less explanation as time is today’s most precious resource.